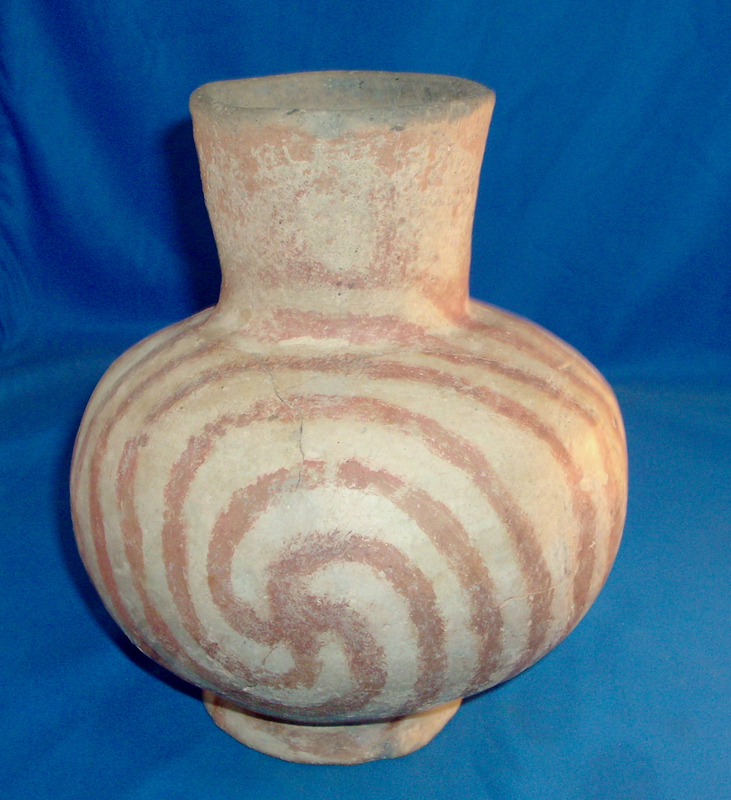 A Large Size, Well Made, Nodena Red And White Waterbottle That Exhibits Coloration And Clay Aging Patination, Evident Neck Handle Wear, Aged Bottom Use Wear, Correct Type Paint And Surface Application, Visible Neck Rim Edge ancient Use Wear, Aged Surface Grog Deterioration Voids, Visible Interior Aging And Use Wear, Correct Type Material And Manufacture For The Area Found. This Waterbottle Has Been Broken And Glued With The Cracks Partially Filled, All Visible Thru The Neck! Includes A Ken Partain Certificate Of Authnticity!